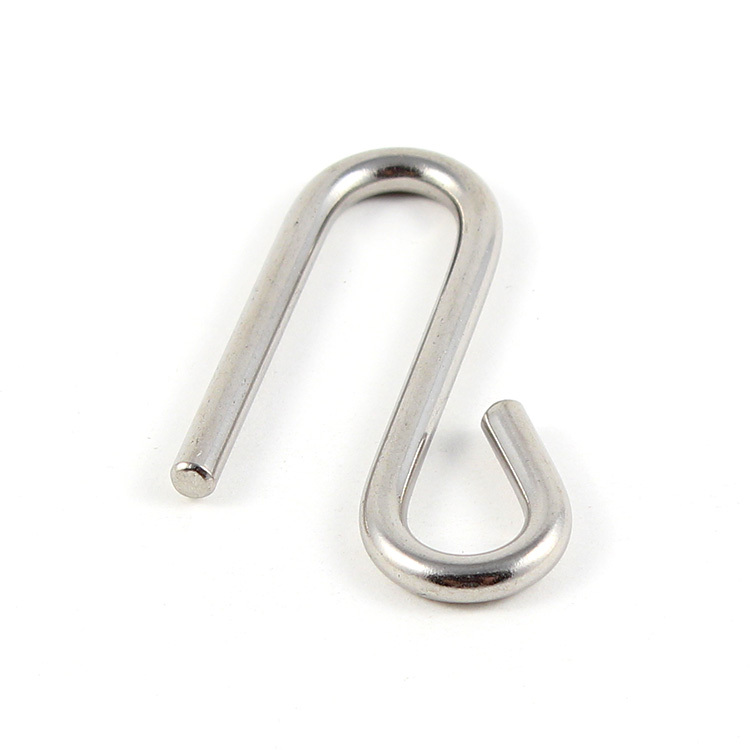 Hobie "S" hook for mainsheet on Island series. The Hobie Ram H-Rail Ball attachment allows you to attach Hobie Ram Ball mounted accessories to the Hobie H-Rail. 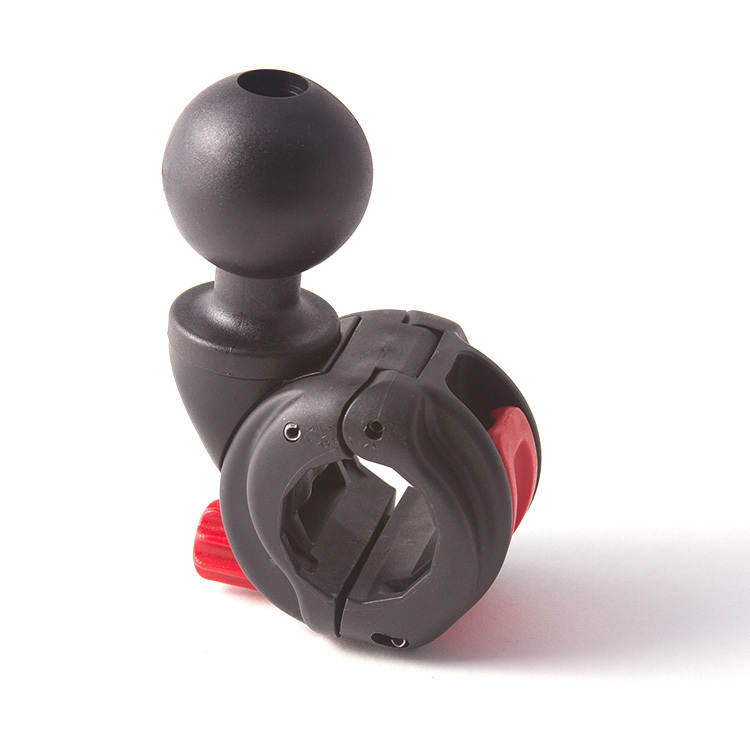 The Hobie Ram ball clamps to the 12-sided H-Rail without any drilling or tools needed. 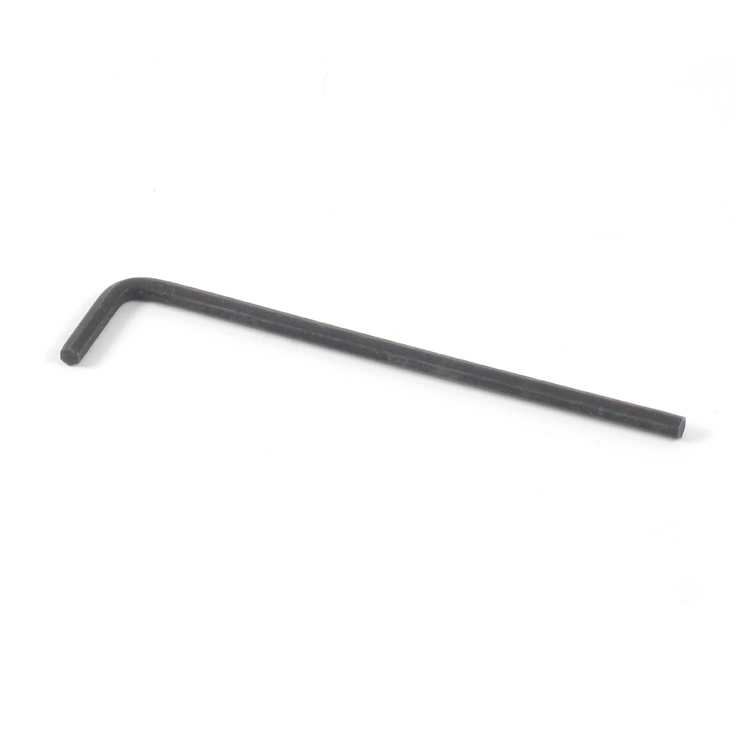 When the clamp is secured, the Hobie Ram ball does not twist or slide along the rail. 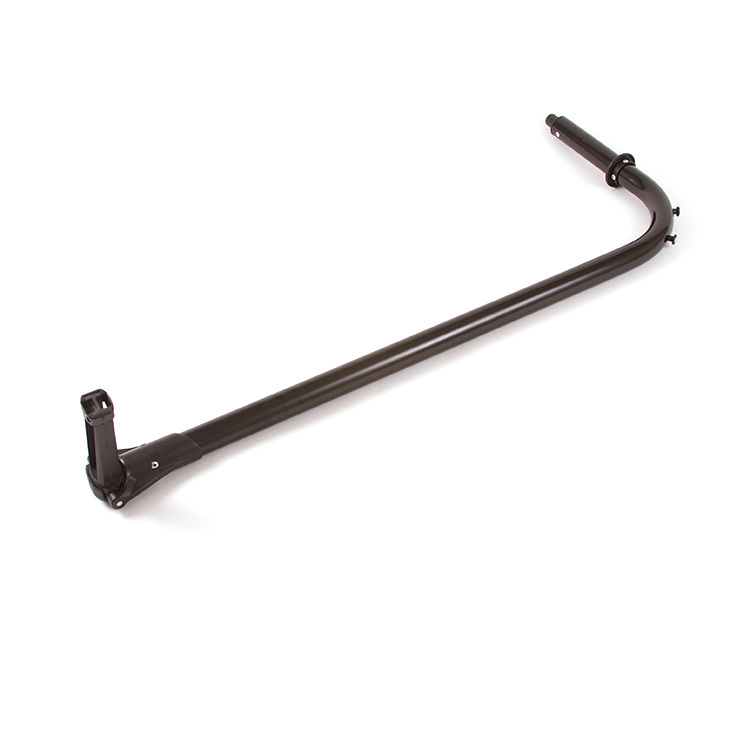 Loosening the clamp allows you to remove the accessory or slide it along the length of the rail. 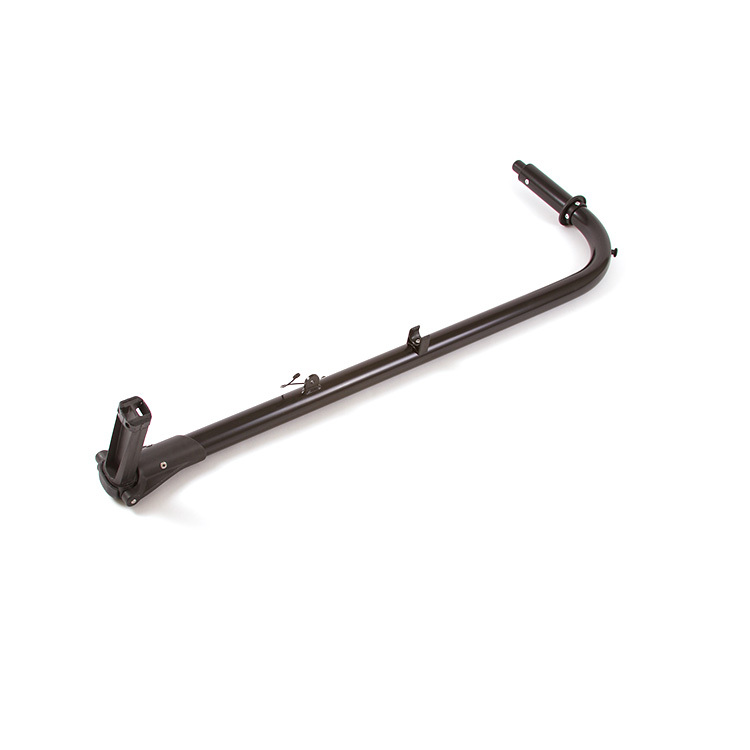 Fits the H-Rail on all 2015 Pro Angler 12, 14, and 17 kayaks. 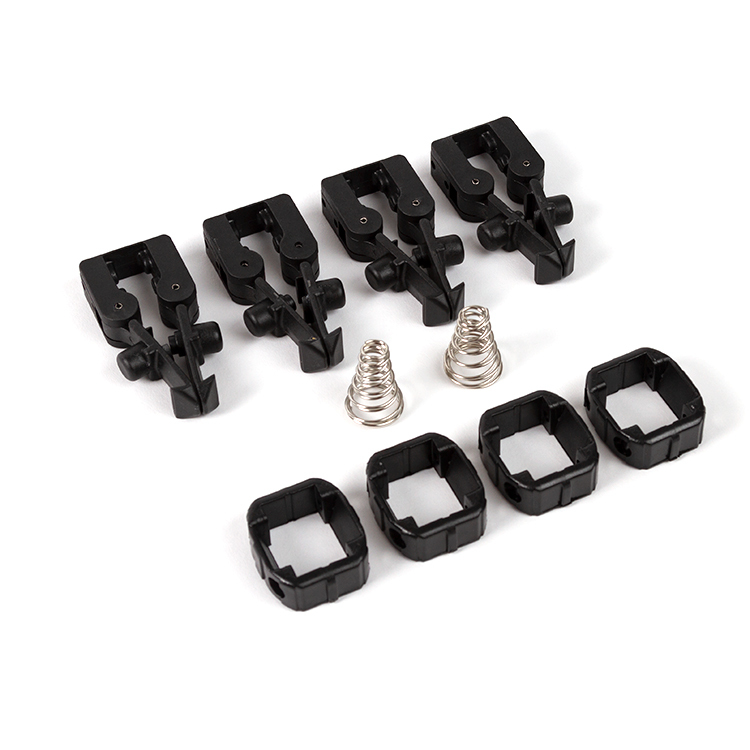 6-pin adapter kit for Hobie Lowrance. 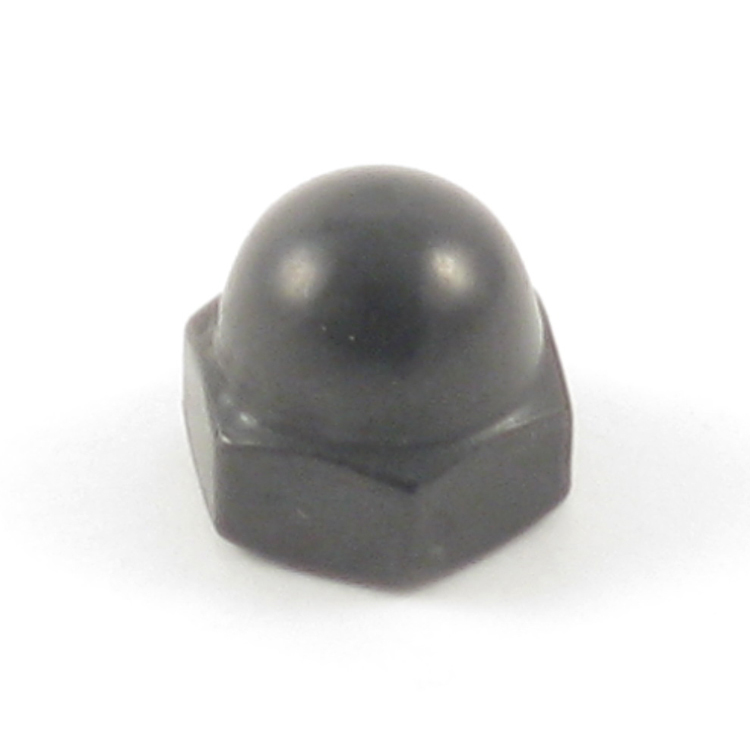 Acorn nut for Hobie Vantage kayak seat. 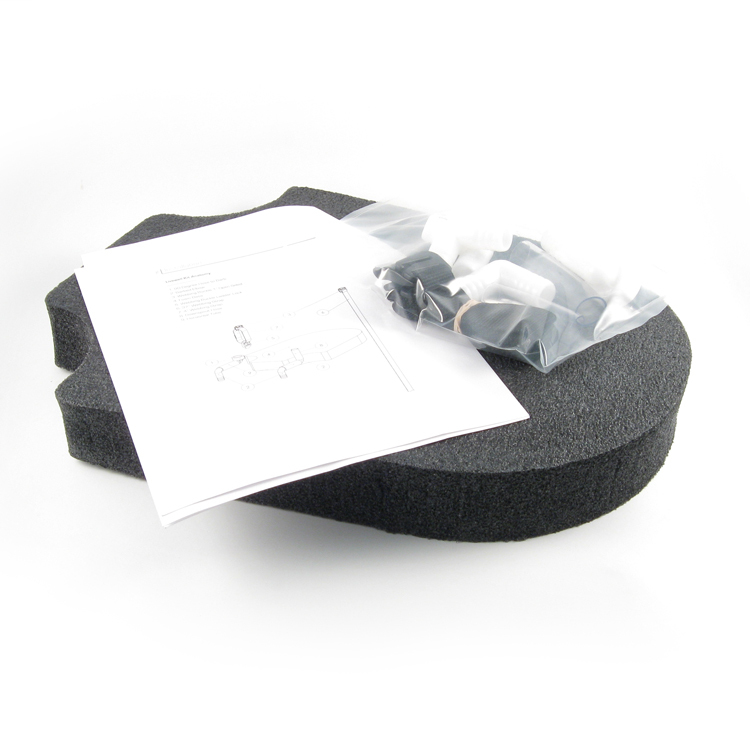 The Hobie Pro Angler Fishfinder Adapter Kit for Humminbird allows you to install a Humminbird transducer utilizing the transducer ready scupper on the 2013 Pro Angler 12 and 14. 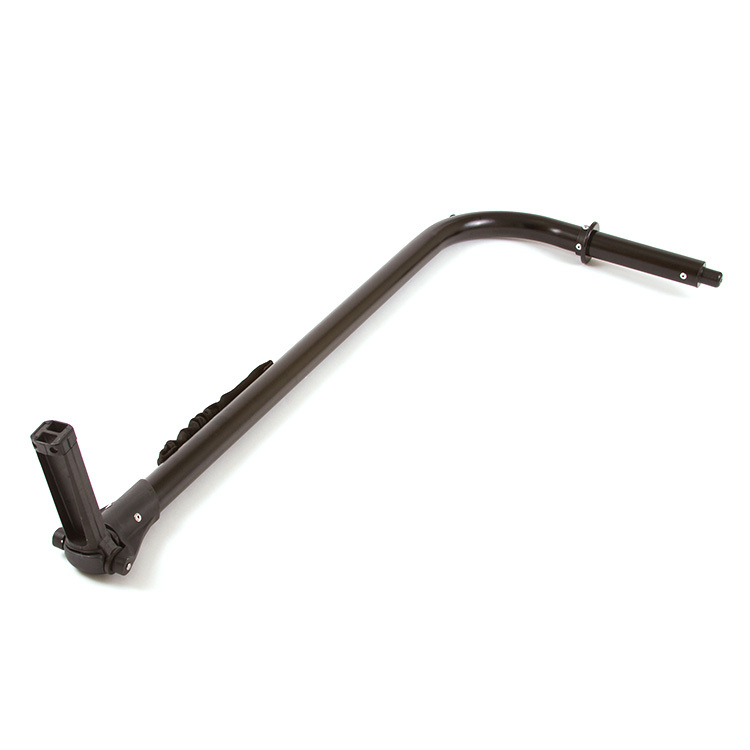 Gear-Head Track Adapter quickly slides into place and locks down your post mounted Scotty rod holders and accessories. 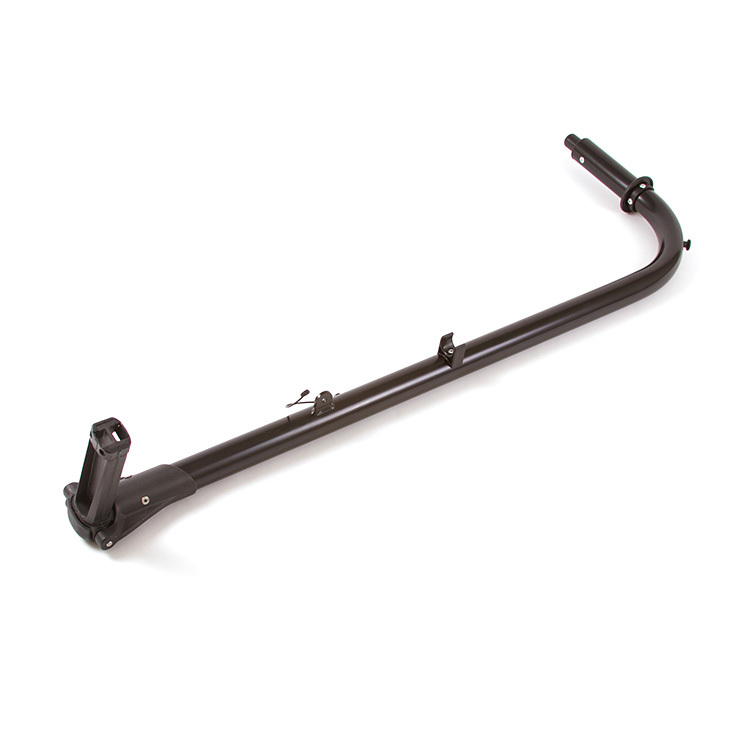 This system allows you to quickly change rod holder positions with a simple twist. 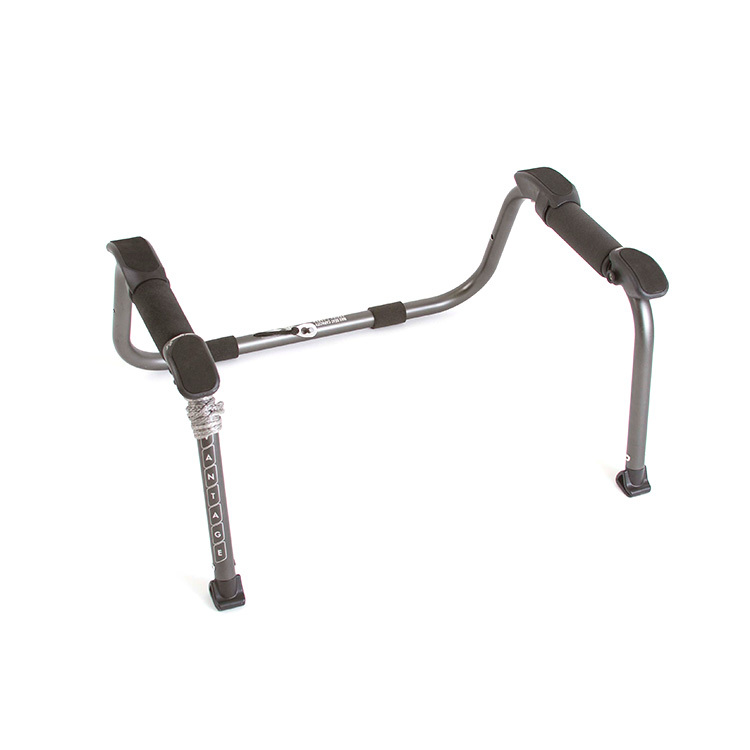 Designed to fit all kayak track systems. 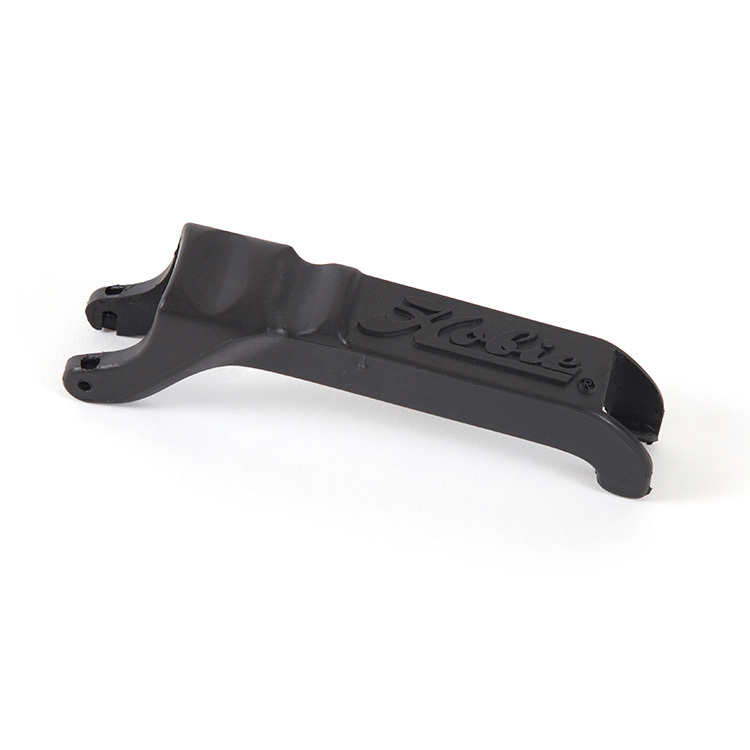 Replacement pedal retainer hook for Hobie Mirage series kayaks to keep drive in place in shallow water. 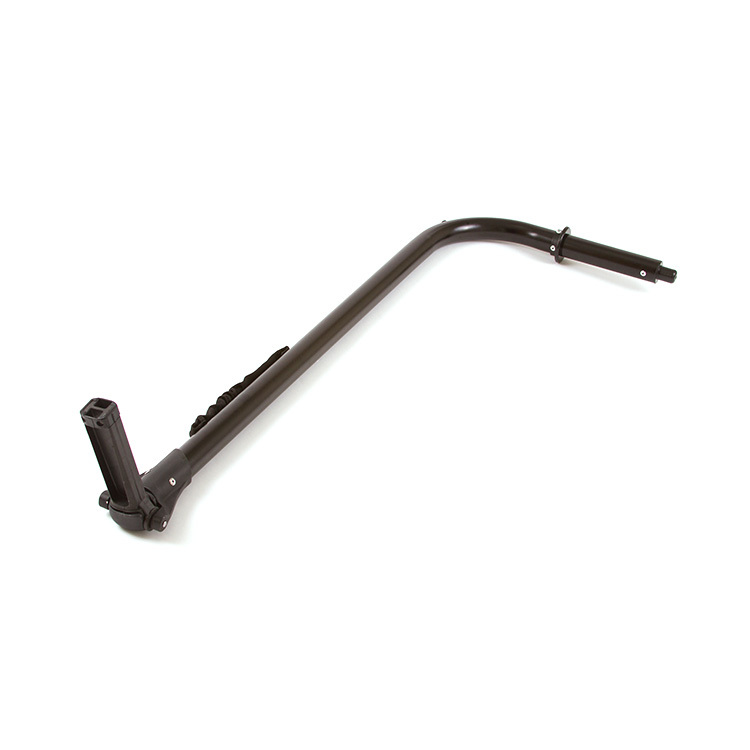 Pedal Adjustment handle for all Mirage Drive GT units. Adventure Island AMA V1 Replacement in Dune for 2015 and newer boats. 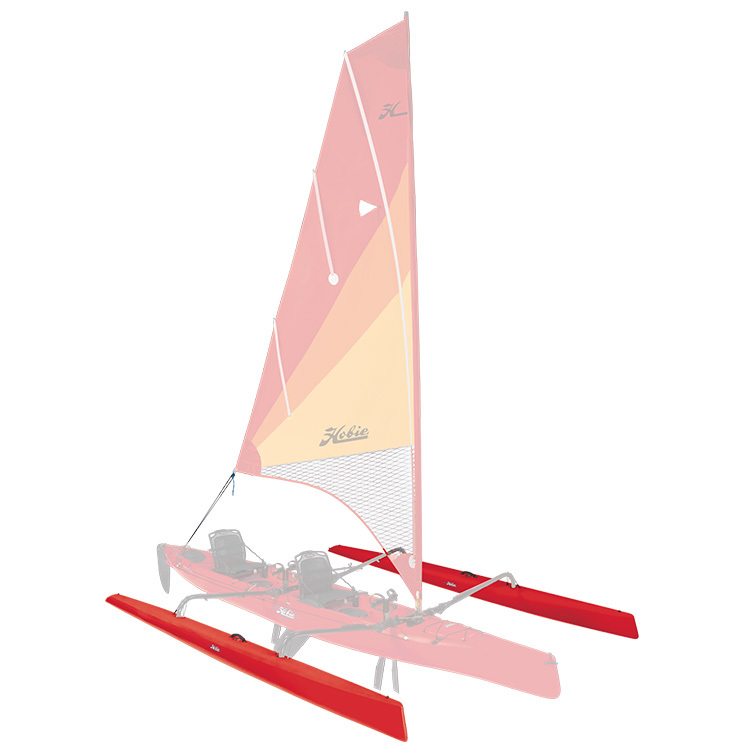 Adventure Island AMA V1 Replacement in Hibiscus for 2015 and newer boats. 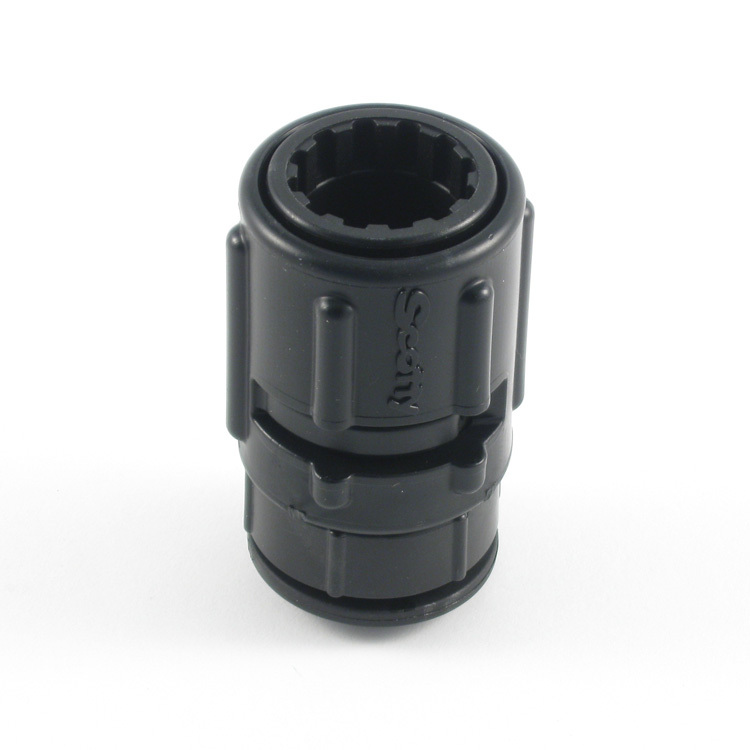 Adapter kit for Hobie Livewell for use with Hobie Adventure Island kayaks. Trim your sails for optimum performance. Attached air flow over sails is critical. Air flow directions are indicated by these tell tails. Made of light weight rip stop nylon (Red/Green). 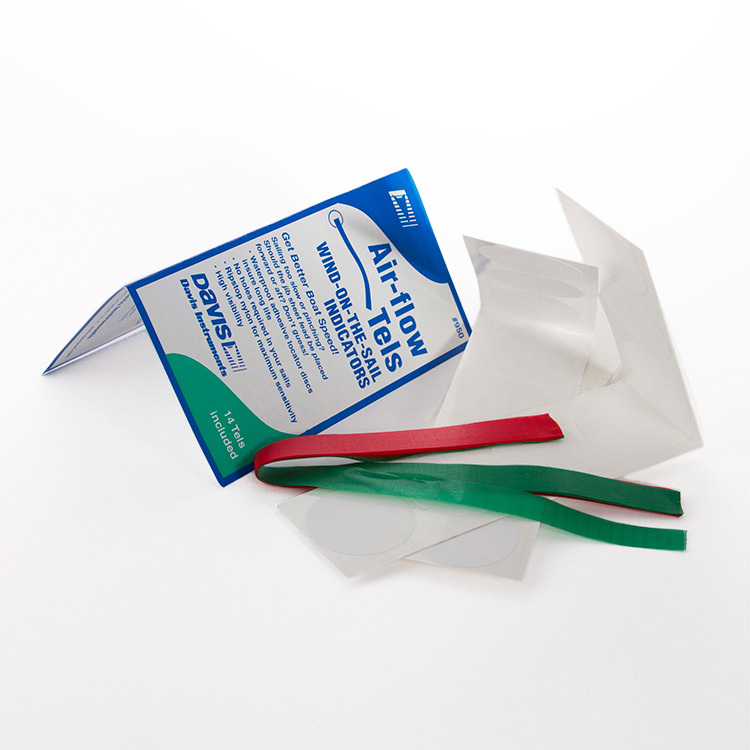 Attaches to sails with waterproof adhesive disks. Forward left AKA bar for 2011 to 2014 model year Adventure Island kayaks, commonly referred to as V2. Forward left AKA bar for 2015 model year and newer Adventure Island kayaks. Rear left AKA bar for 2011 to 2014 model year Adventure Island kayaks, commonly referred to as V2. Hobie Adventure Island AKA V2 (Rear Left). 2015 and newer Adventure Islands. Forward right AKA bar for 2011 to 2014 model year Adventure Island kayaks, commonly referred to as V2. Hobie Adventure Island kayak AKA V2 (Forward Right). 2015 and newer Adventure Islands. Rear right AKA bar for 2011 to 2014 model year Adventure Island kayaks, commonly referred to as V2. Hobie Adventure Island AKA V2 (Rear Right). 2015 and newer Adventure Islands. 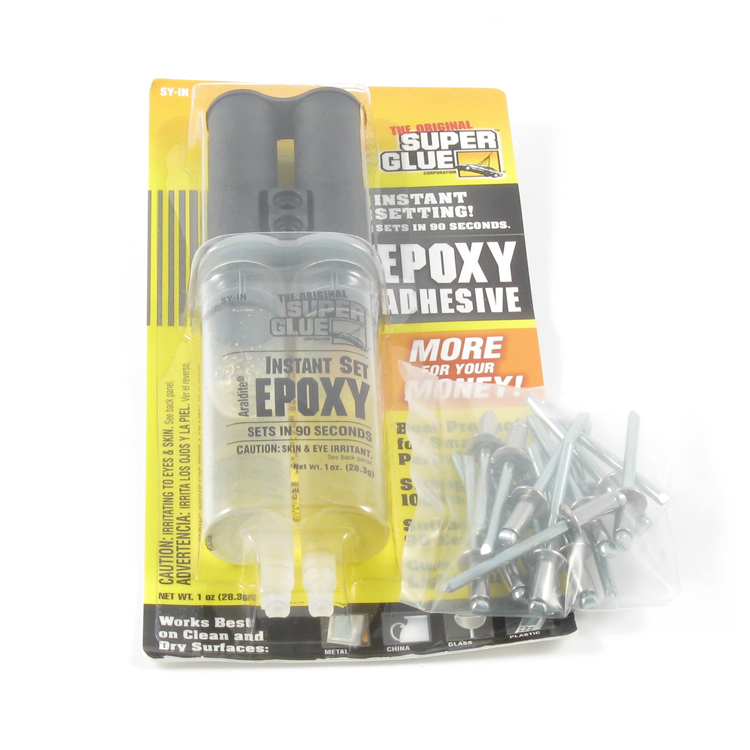 AKA Casting Glue Kit for V2 AKAs, 2015 and newer boats. 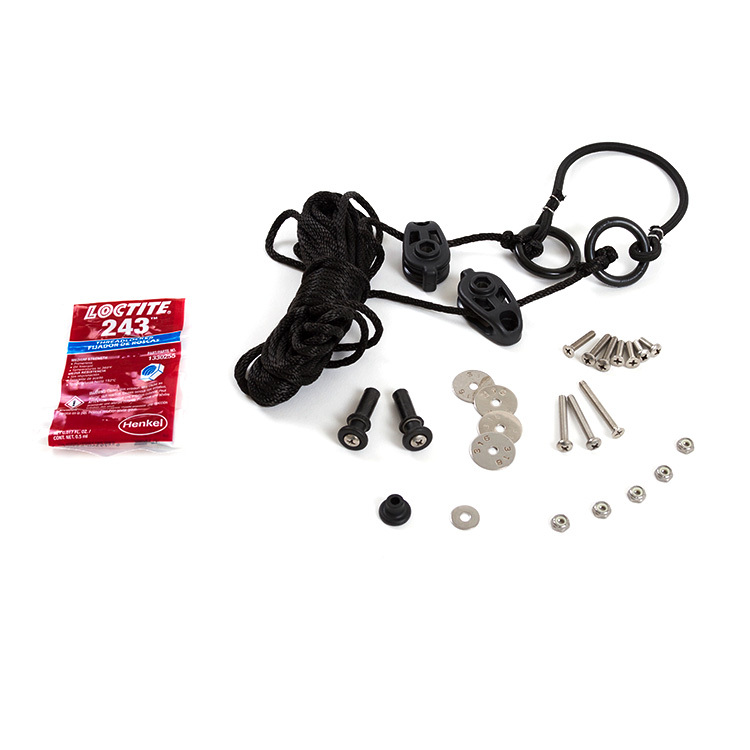 Kit includes 4 sets of aka spring hooks and the aka bearings they lock to. 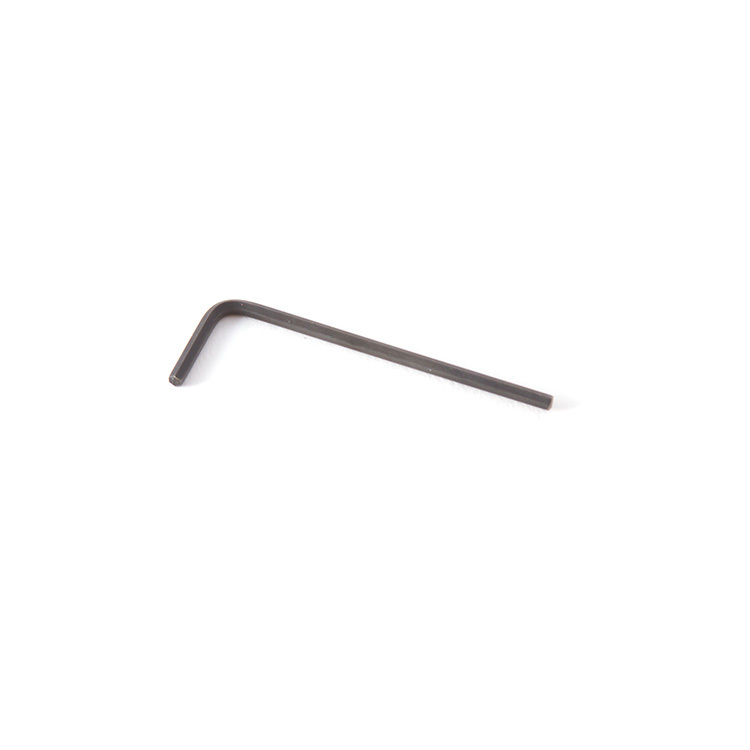 This creates a more positive lock for the aka into the crossbar that is less affected by part distortion or aka twisting motions. This is standard on all new Islands. Forward AKA for left or right on all Tandem Island kayaks. 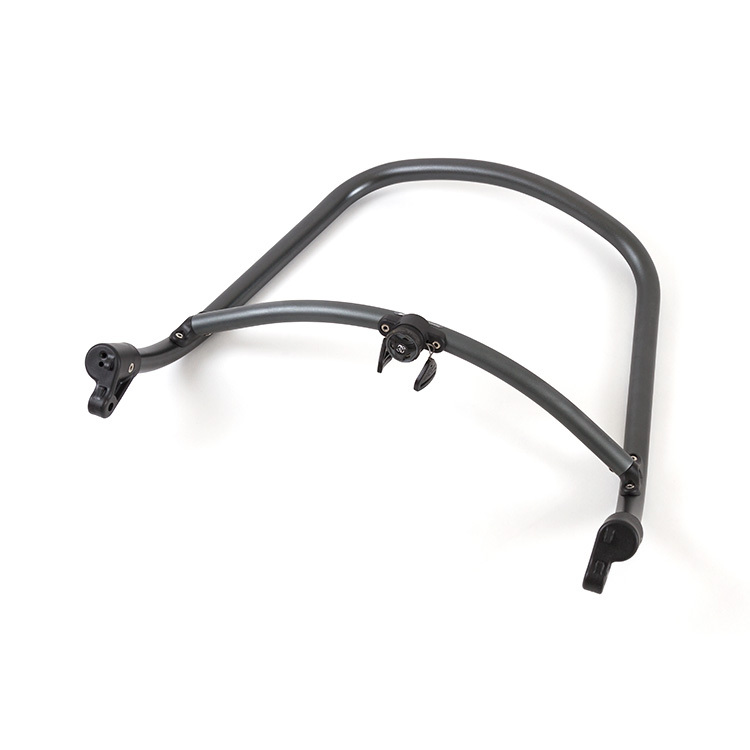 Rear AKA for left position on all Tandem Island kayaks. Rear AKA for right position on all Tandem Island kayaks. 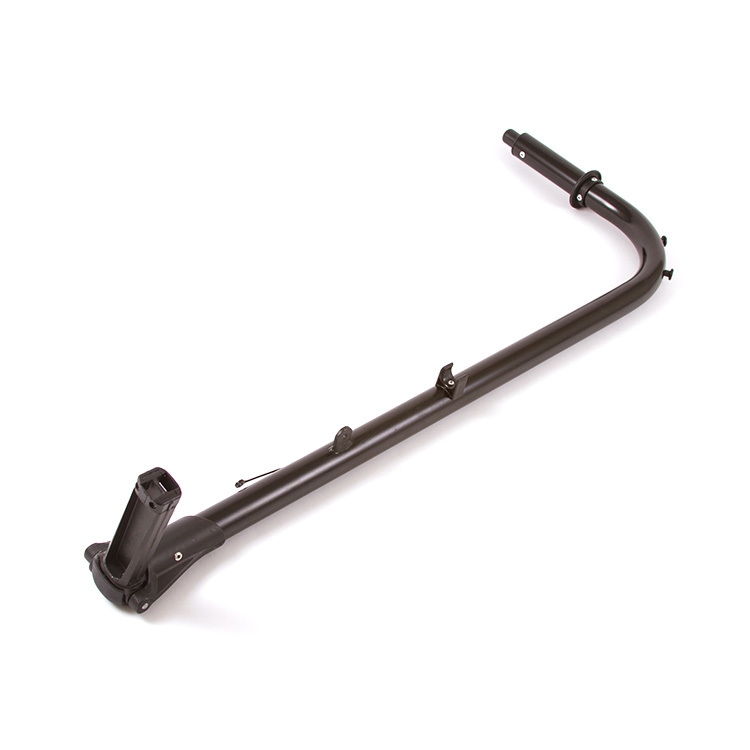 The Hobie 2012 Mirage Drive Pin is the replacement alignment pin for Hobie Mirage Drives produced for the 2012 model year and later kayaks. 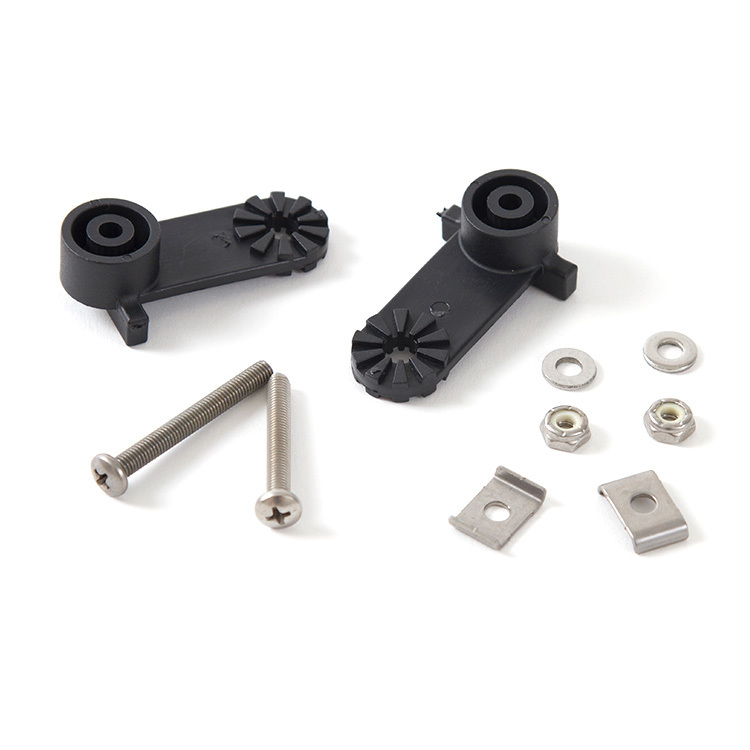 The alignment pin slides through the Mirage Drive and fits into two grooves on Hobie Mirage kayaks to ensure that the Mirage Drive is properly installed every time. Sold individually. AMA for all Hobie Tandem Island Kayaks in Dune. Upgraded bow shape for speed. AMA for all Hobie Tandem Island Kayaks in Bright Hibiscus. Upgraded bow shape for speed. AMA for all Hobie Tandem Island Kayaks in Papaya. Upgraded bow shape for speed. 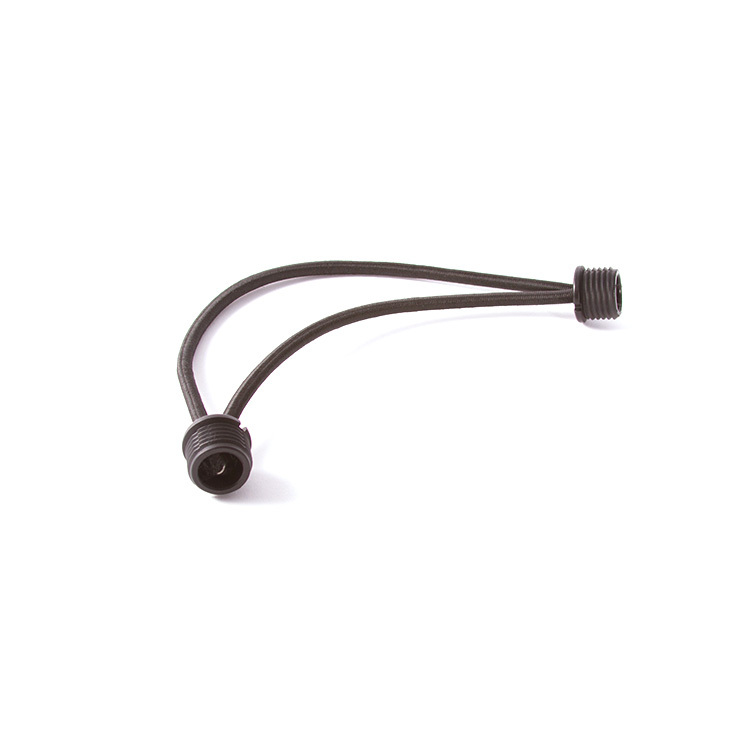 Shockcord assembly for attaching AMA to AKA on Hobie Mirage kayaks. 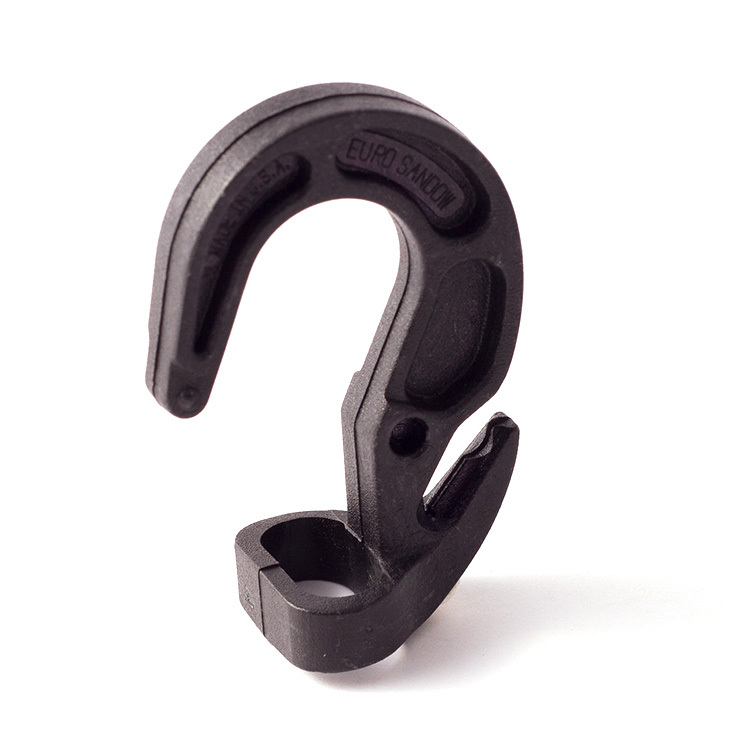 Insert caps for Hobie kayak anchor trolley. 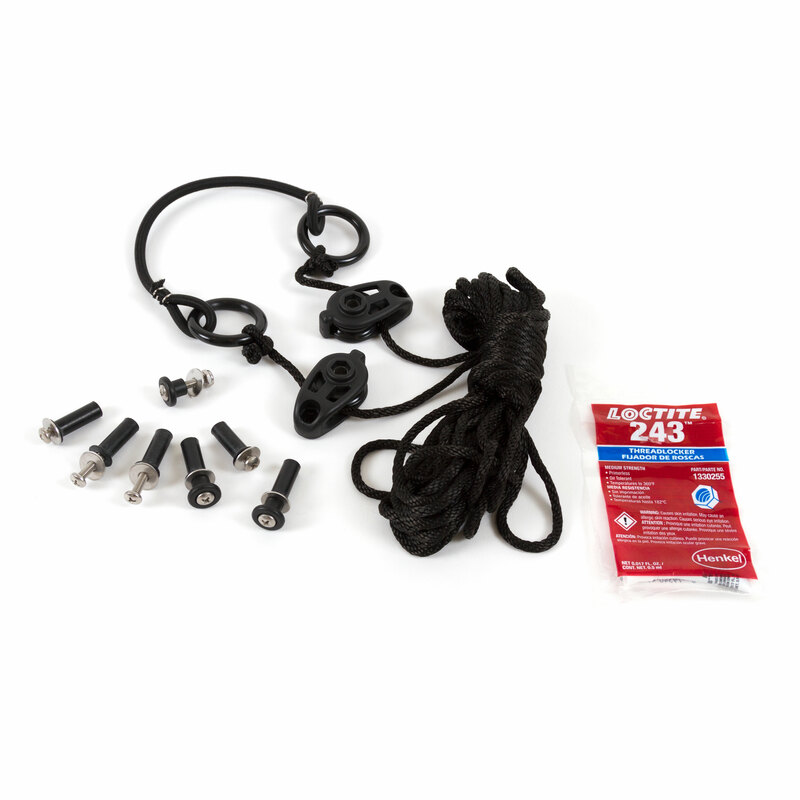 Hobie's Compass specific Anchor Trolley Kit includes everything you need to complete the installation. 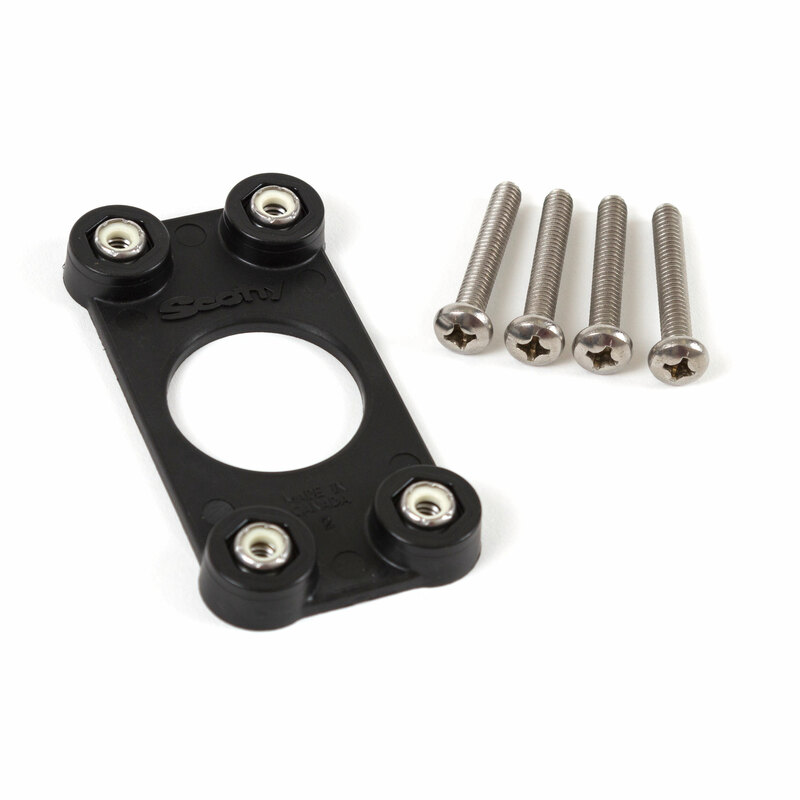 Hobie has made it easy by designing a kit that doesn't require thru-bolting to mount cheek block pulleys and pad eyes. 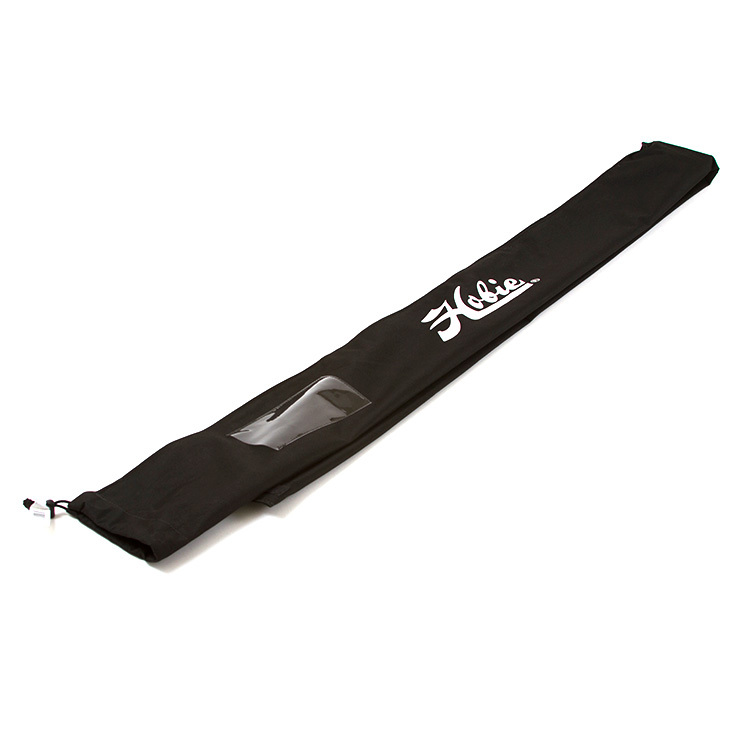 Effectively position your kayak just how you want it in any condition or depth of water. Adding an anchor trolley to your kayak lets you easily deploy your anchor, drift chute or stake out pole over the side of the cockpit area, then move the attachment position forward or aft to hold your boat in the position desired. 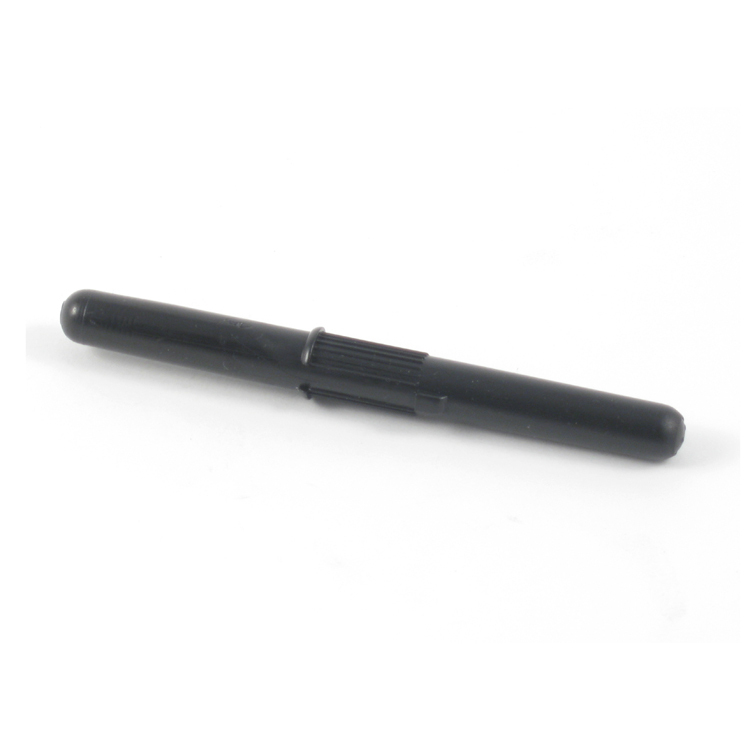 Easily sit facing down stream / wind at anchor. 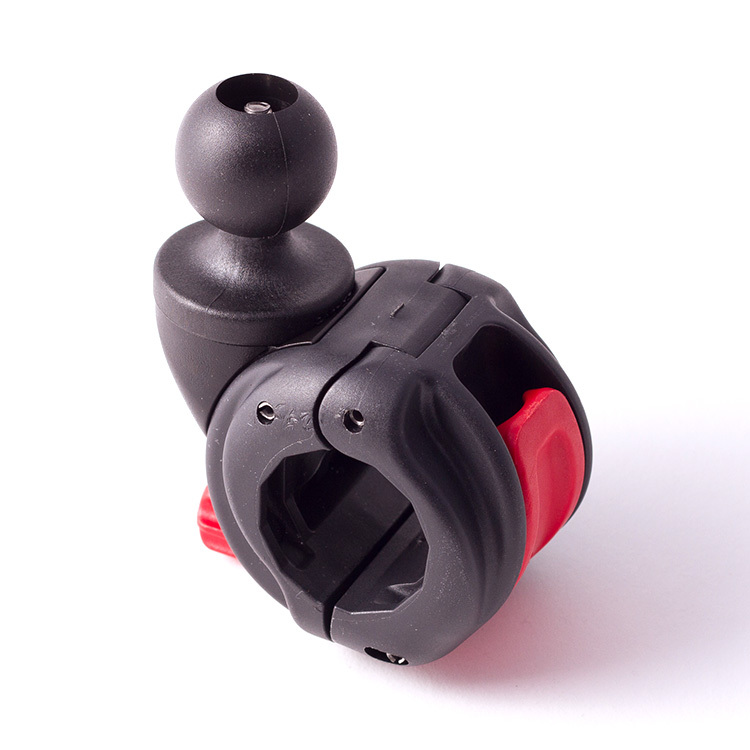 Simple pulley system and cleat allows adjustment all along one side of your boat anywhere from bow to stern. 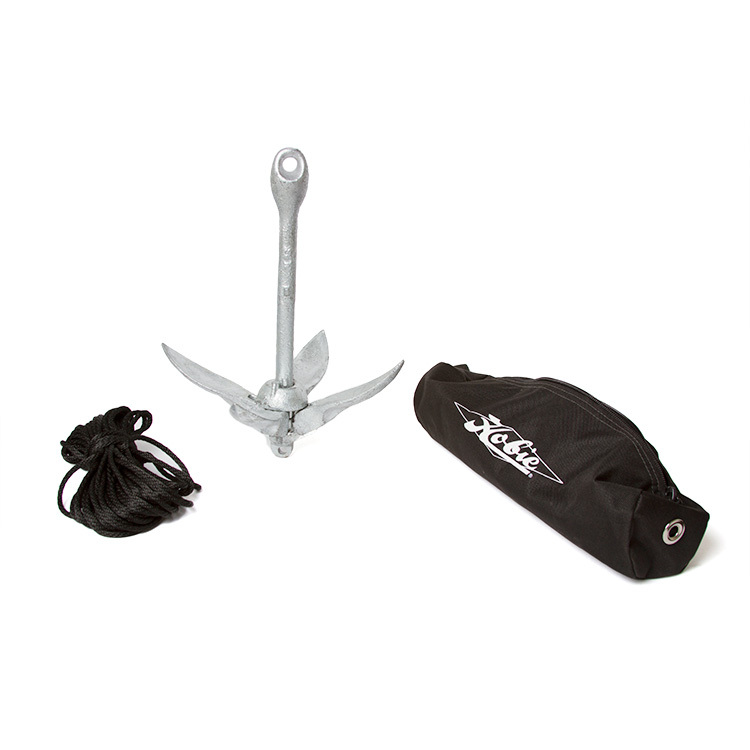 Get your kayak ready for fishing or bird watching with a Hobie's 3 pound folding anchor, bag and 60 feet of line. Great addition to your kayak. Any time you want your kayak to stay put. 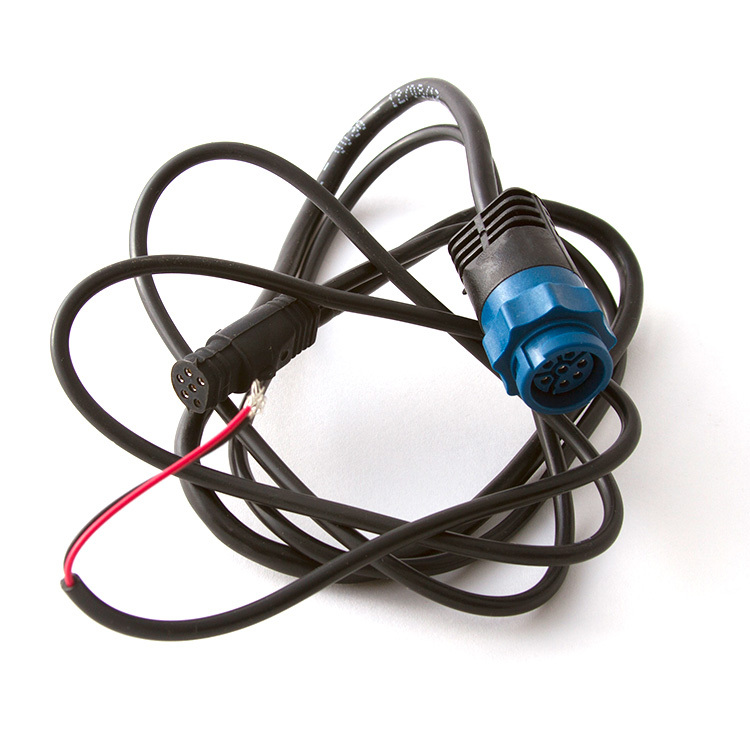 Combine with the Hobie Anchor Trolley System for directional control in wind or current. 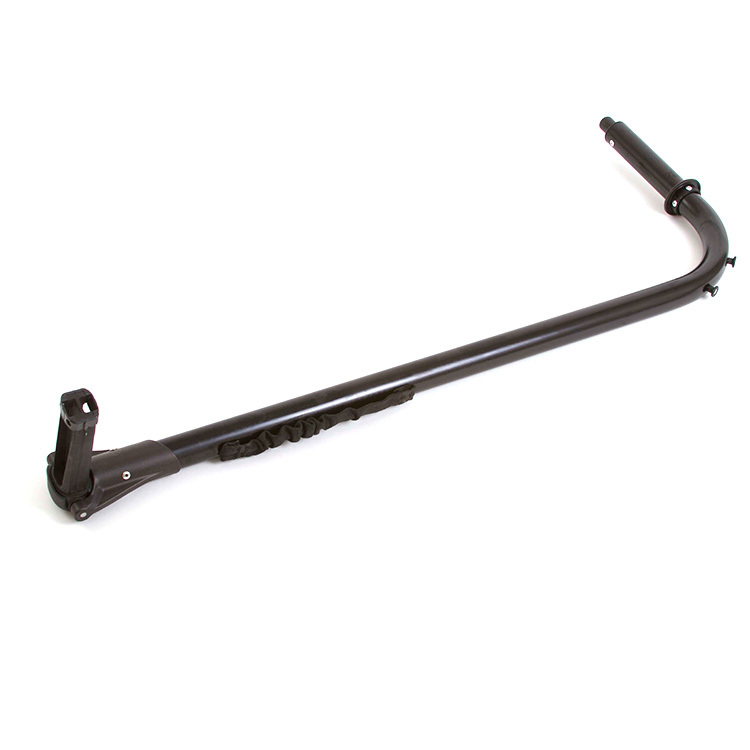 It's a great addition to any kayak - doesn't need to be a hobie. 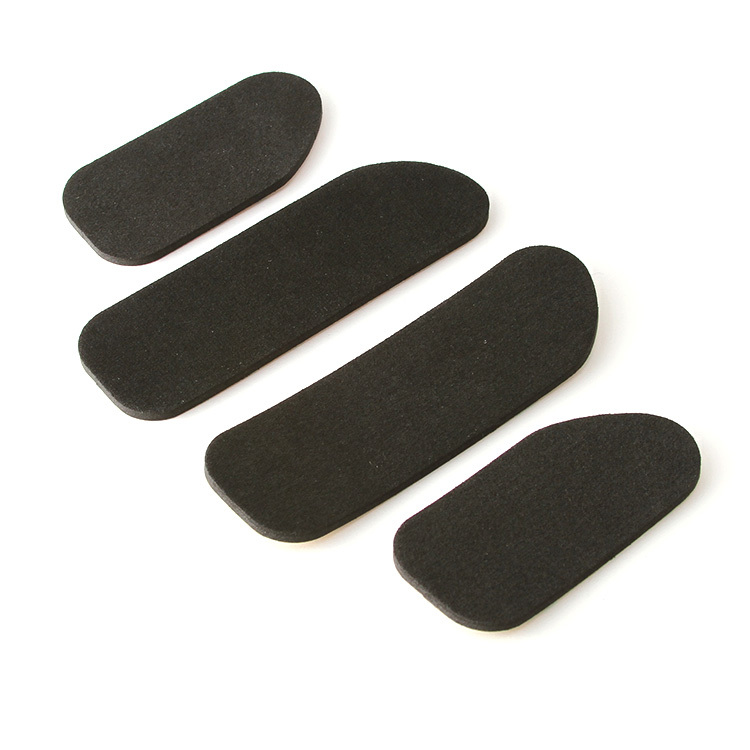 Replacement arm rest pad pack for Hobie Vantage kayak seat. 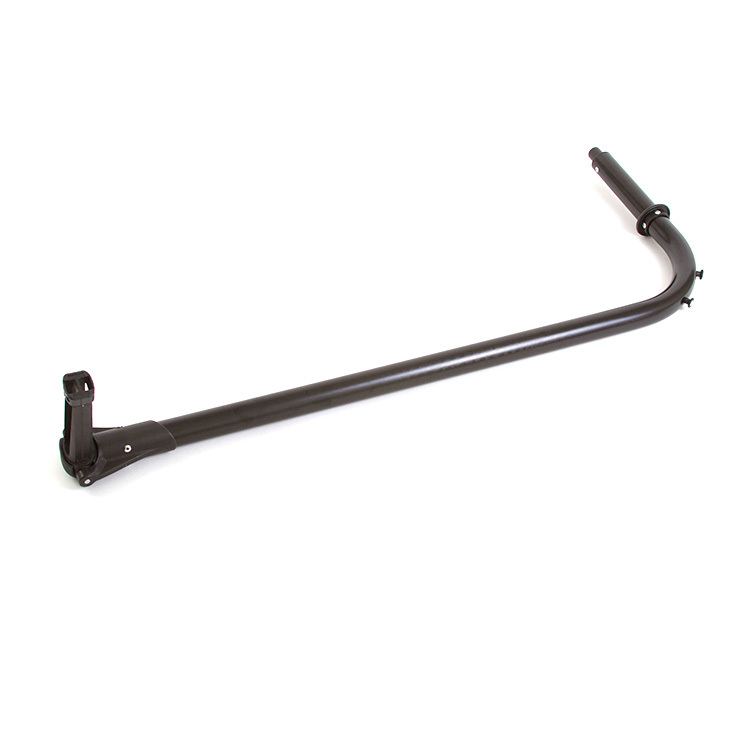 Replacement armrest frame assembly for Hobie Vantage kayak seat. 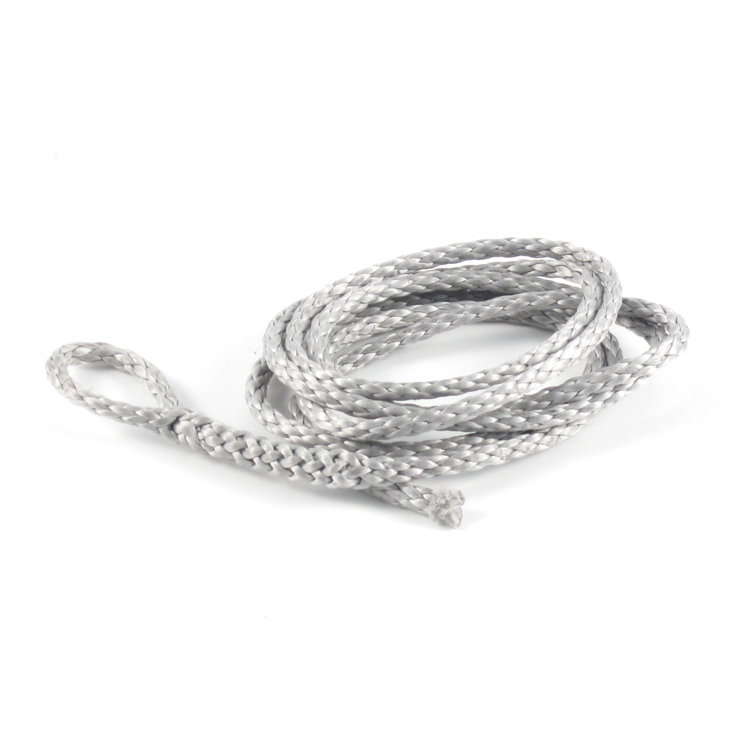 Replacement back control line for Hobie Vantage kayak seat. 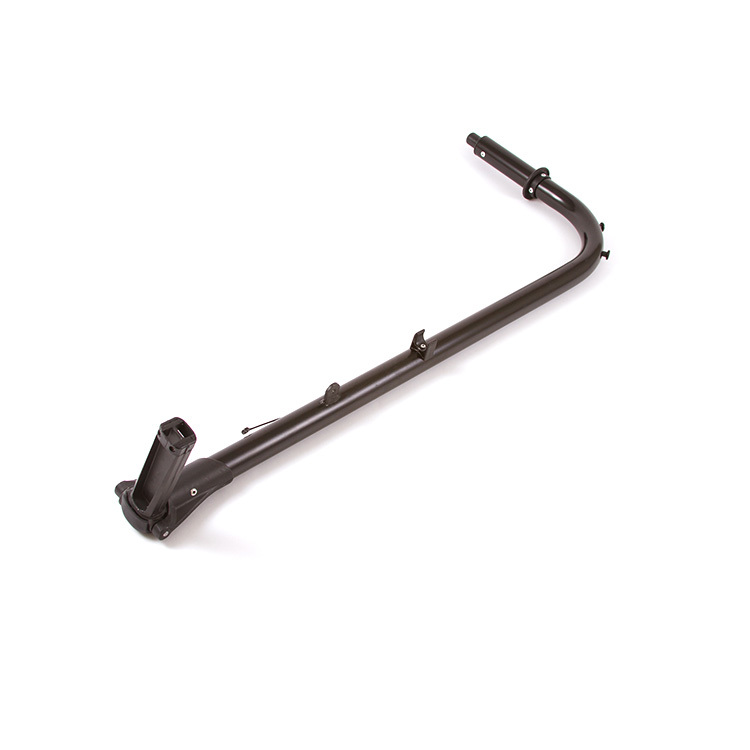 Replacement back frame assembly for Hobie Vantage kayak seat. 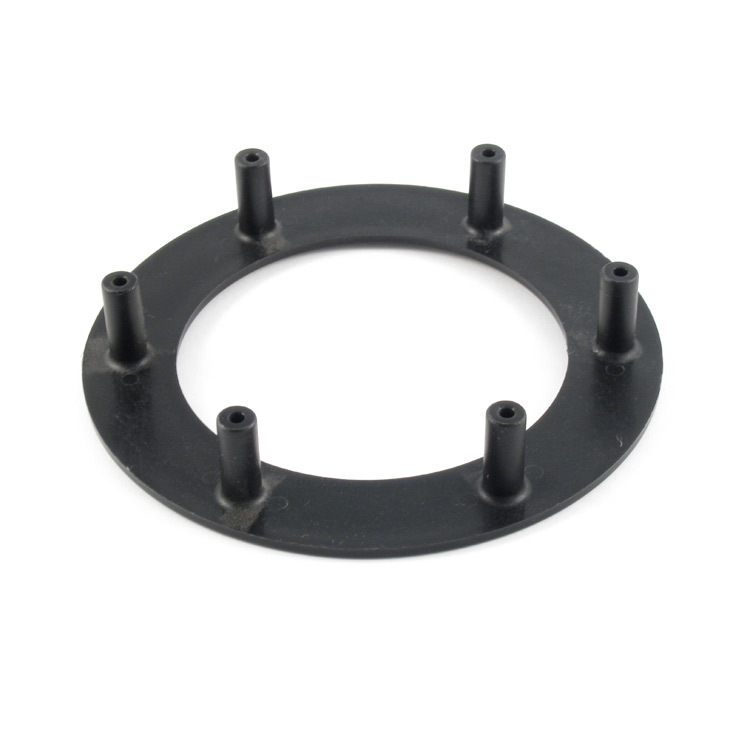 Backing plate with fasteners for mounting Hobie kayak accessories and hardware. 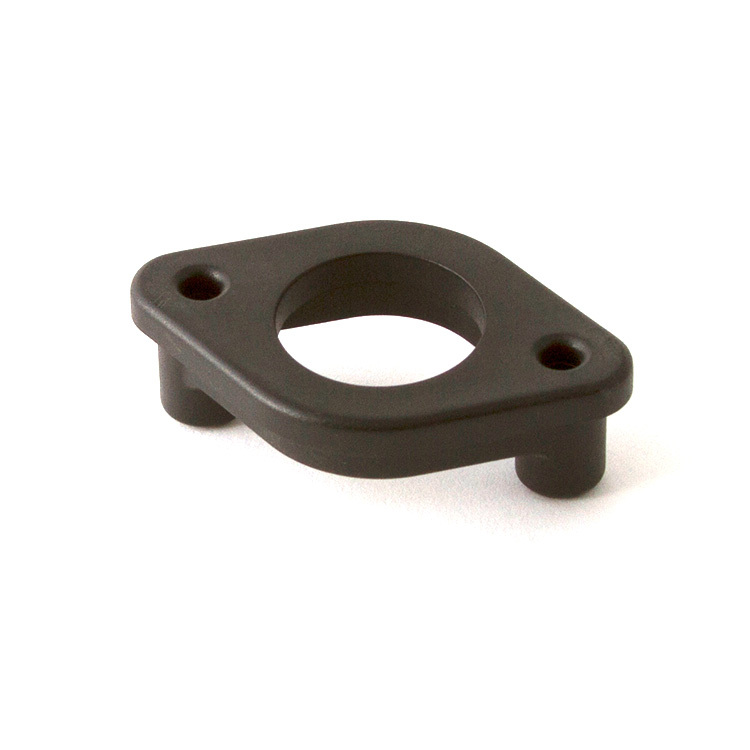 Backing ring for Hobie Mirage kayak mast receivers. 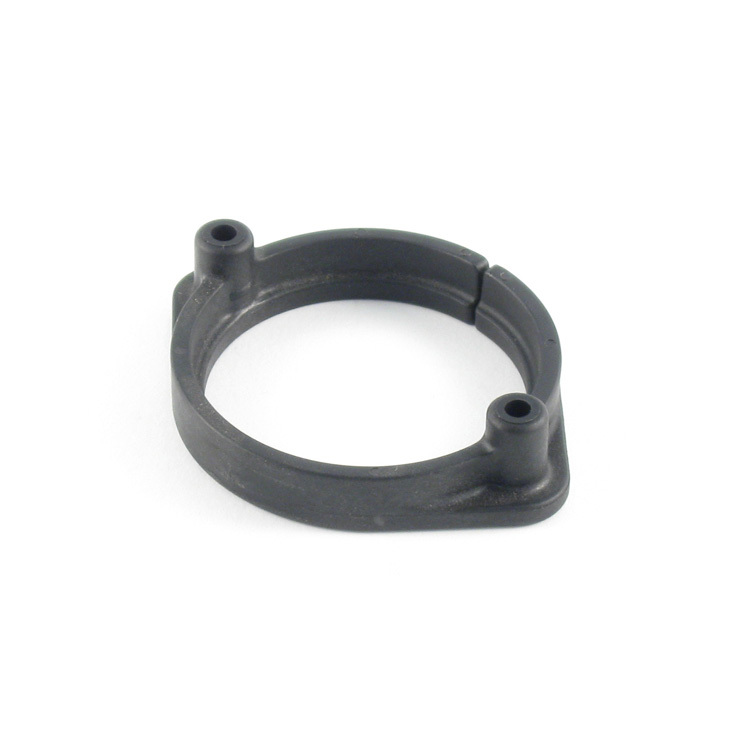 Backing ring for Hobie Evolve Torqueedo M12 motor. 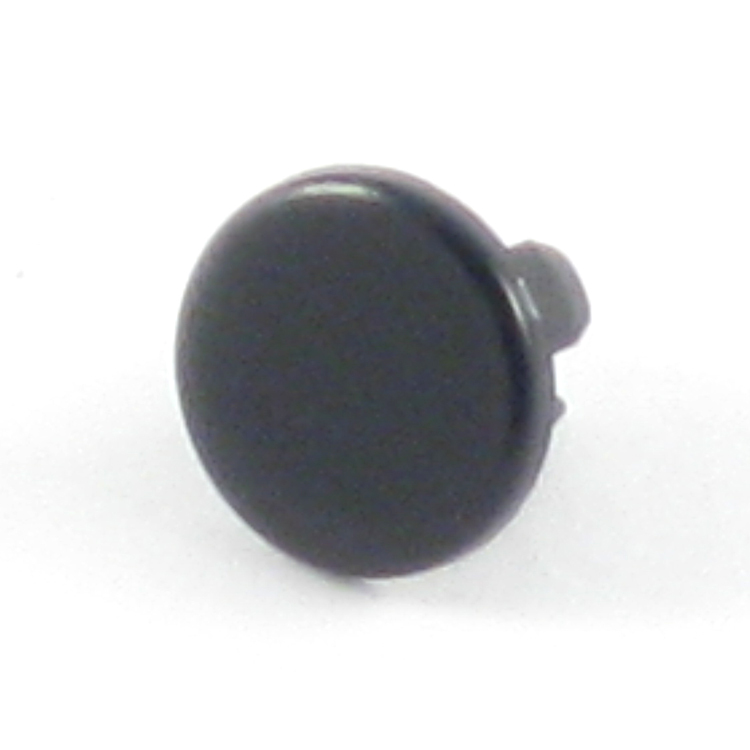 Though hole backing for Hobie power plug. 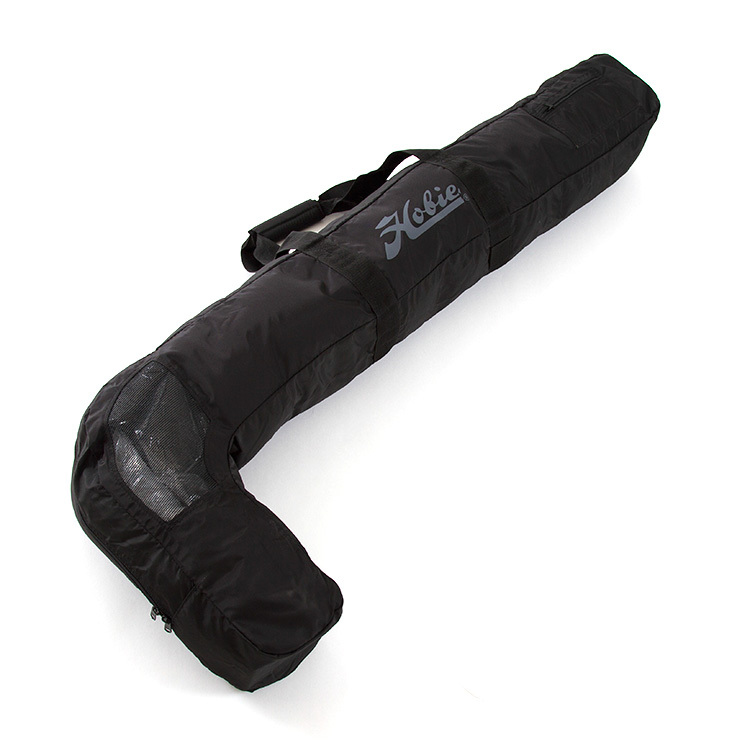 Hobie Adventure Island AKA V1 carrying bag for 2007-2014 year boats. Hobie Adventure Island AKA V2 carrying bag for year 2015 and newer boats. 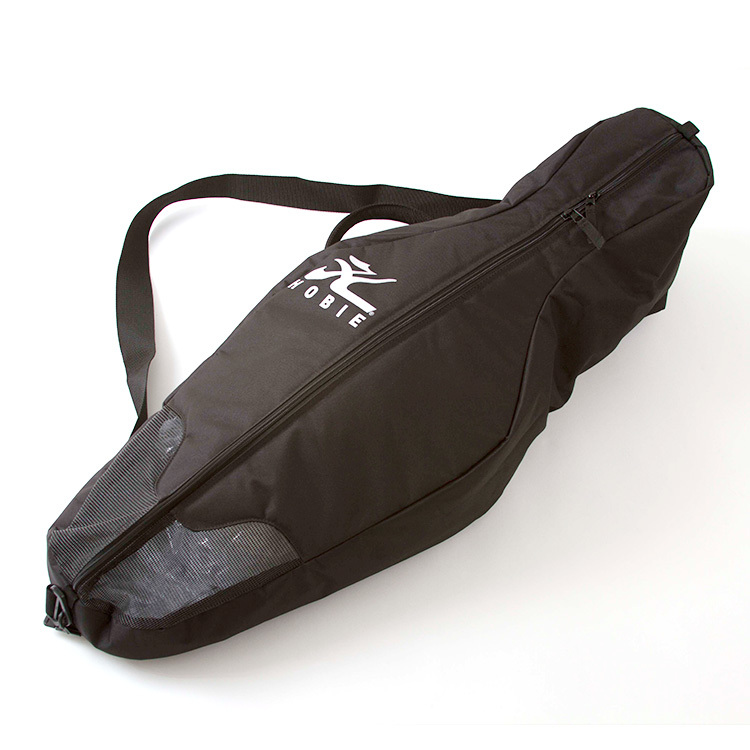 Sail bag for Hobie kayak sail kits. This is a 128 inch length bag. Mast Bag for Hobie Tandem Island mast assembly. 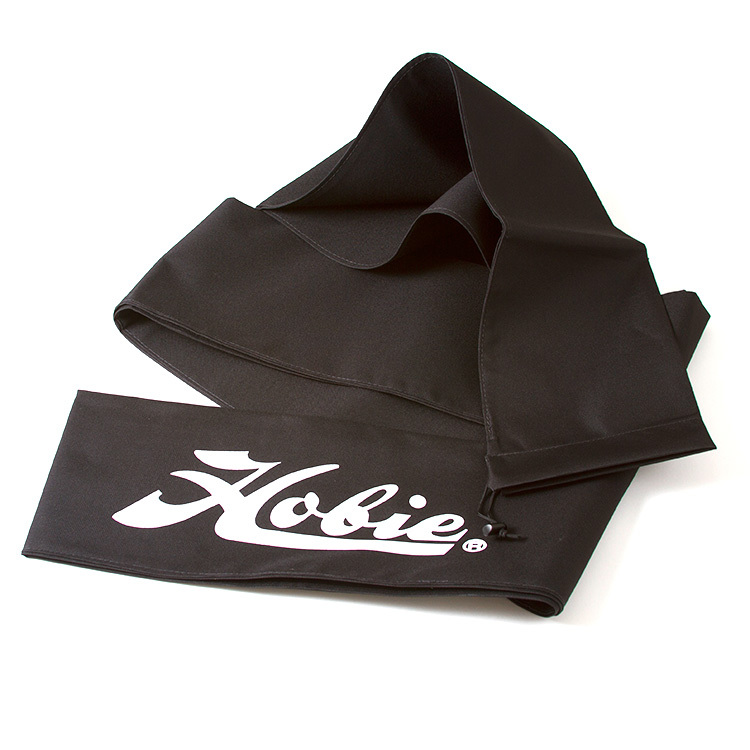 Protect your Mirage Drive and other goods with the Hobie Mirage Drive Stow Bag. 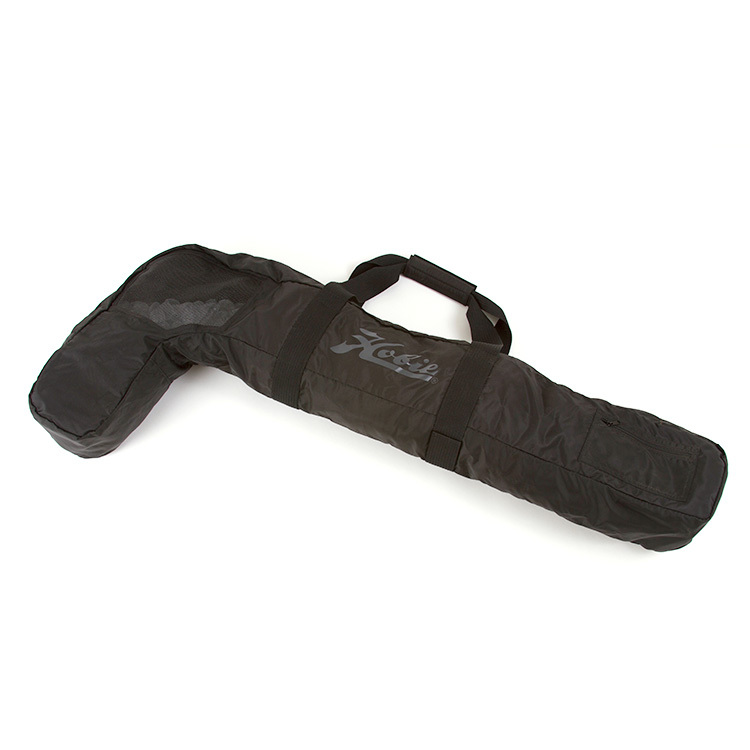 This heavy duty cordura and mesh bag easily fits the complete Mirage Drive with either standard or turbo length fins. It has a carry handle and over the shoulder strap for easy transport. Small pockets inside the stow bag hold your speedo tube or scupper plugs. There's plenty of extra space in the bag for a life vest.